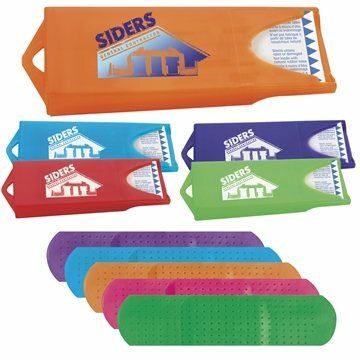 Brightly colored bandages in a colored dispenser are a great way to spice up your safety promotion. Your dispenser comes with 5 assorted colors. Bright colors bring life to your logo. Looked good, the quality was less than expected, but overall okay with the users. we placed another order for 1100 more. I think for ordering again. Thanks so much! Alicia our sales rep worked with all my request without question. Because of her we will be doing business together again.